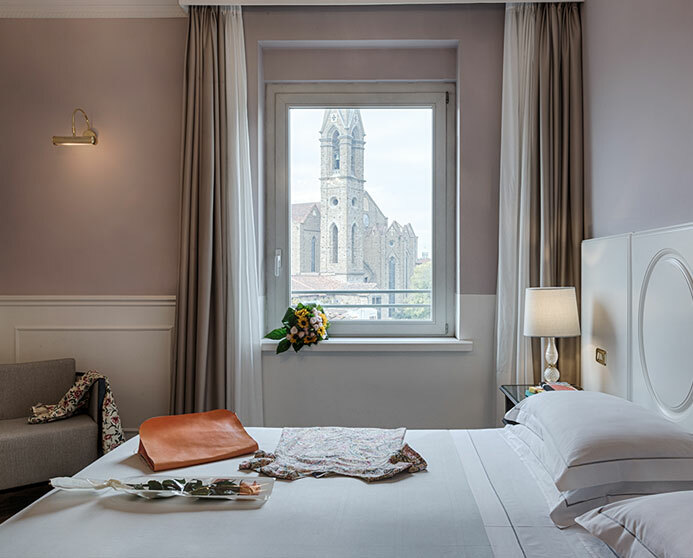 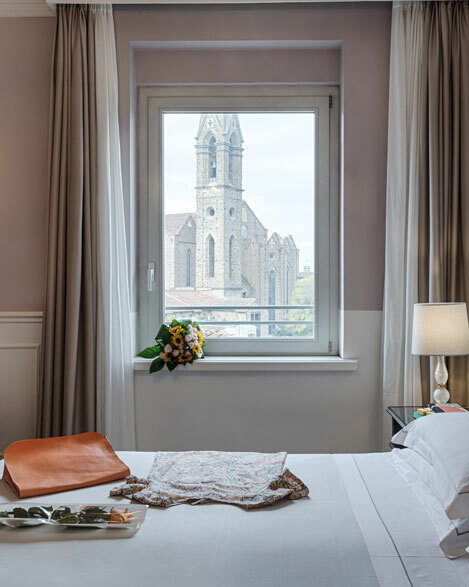 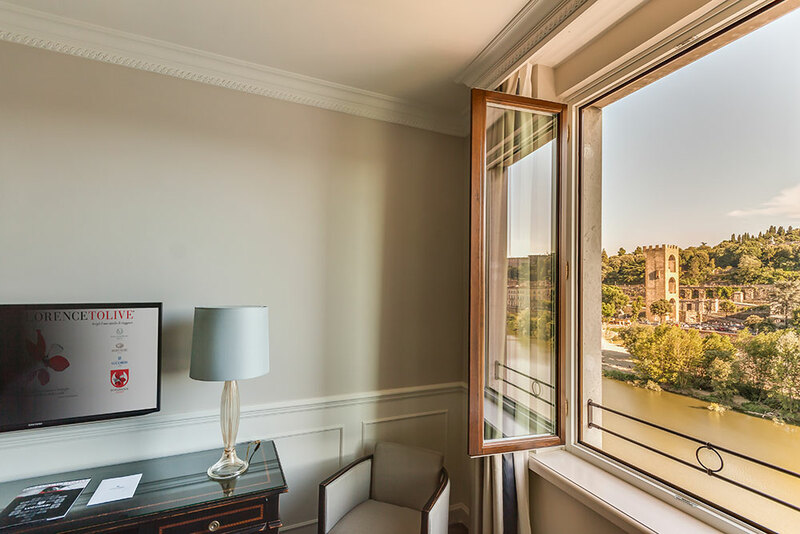 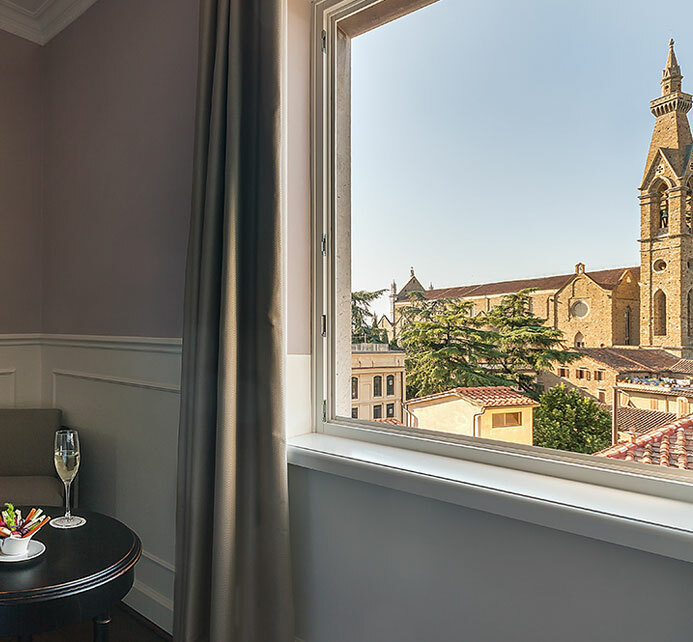 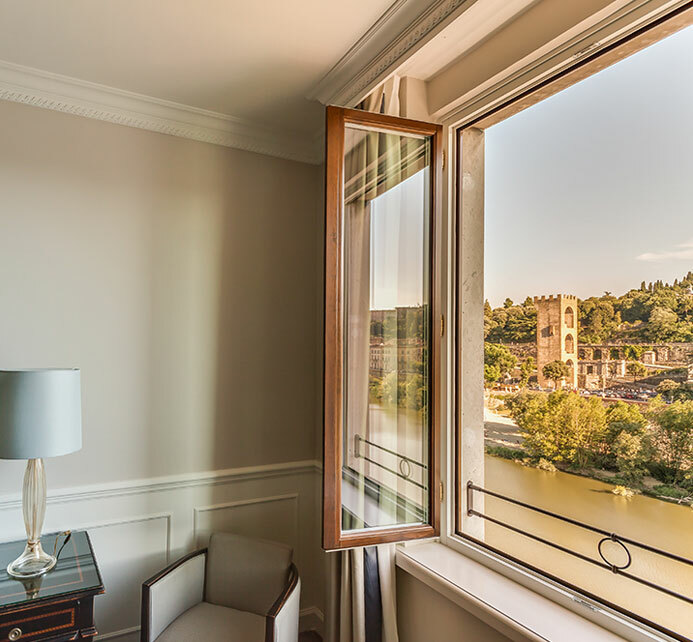 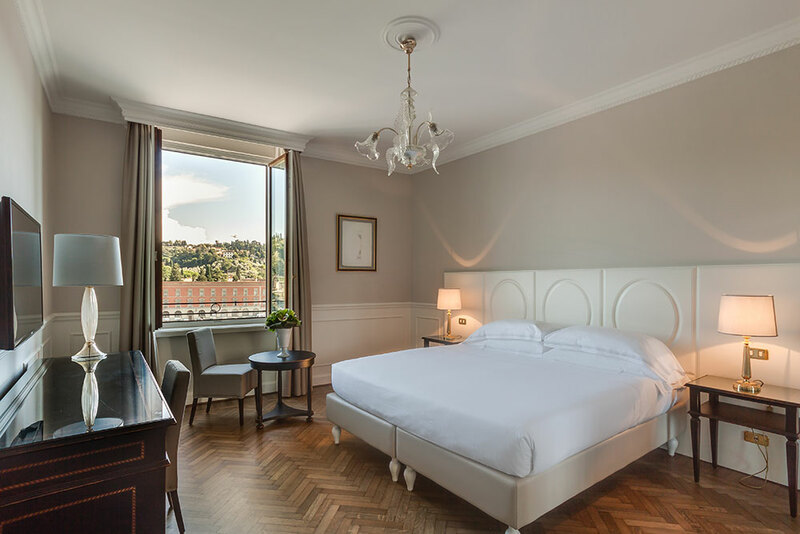 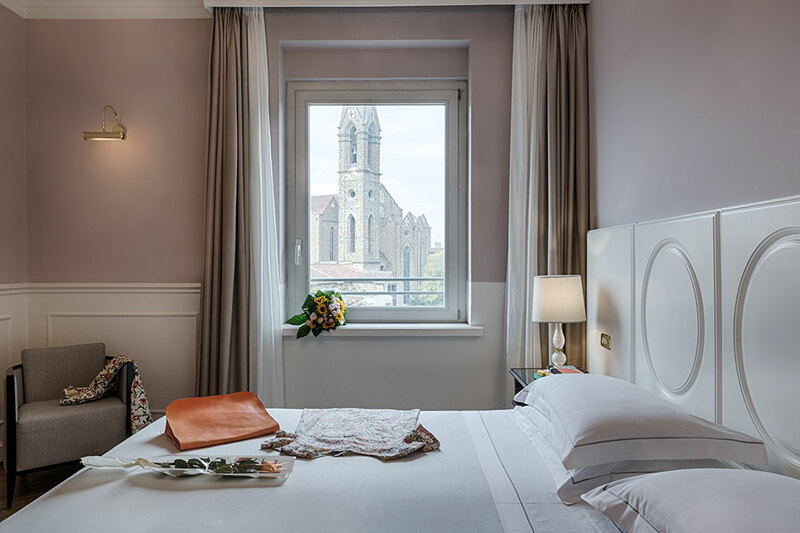 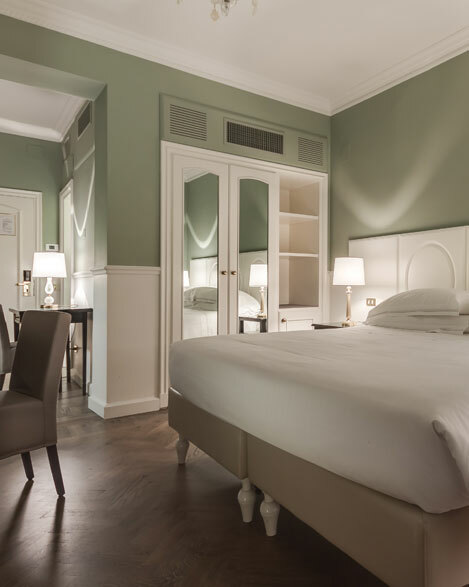 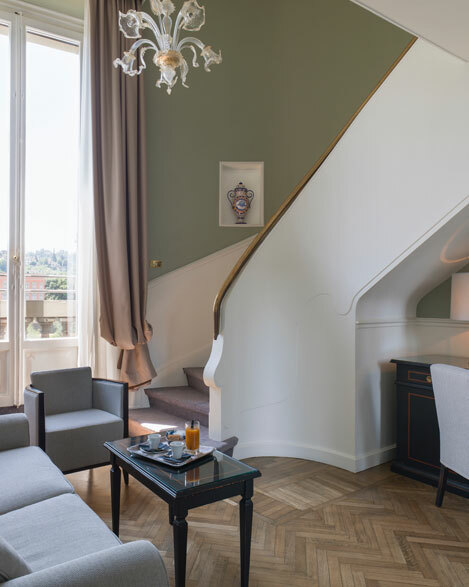 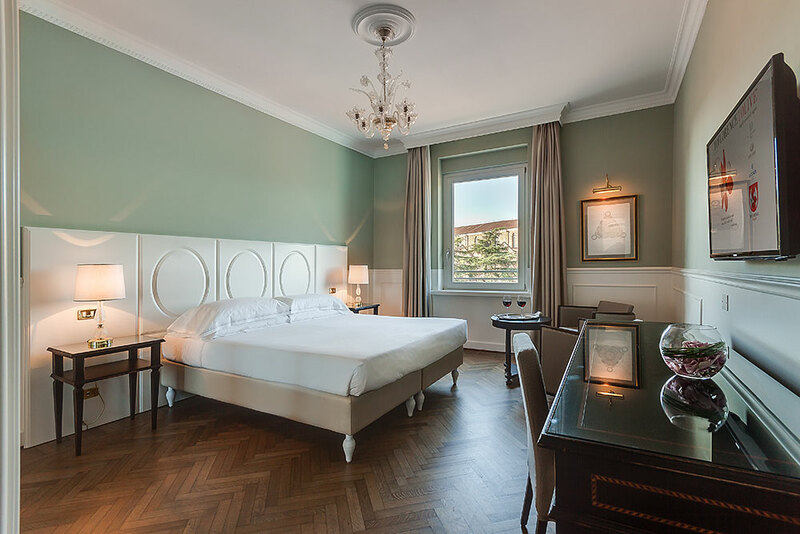 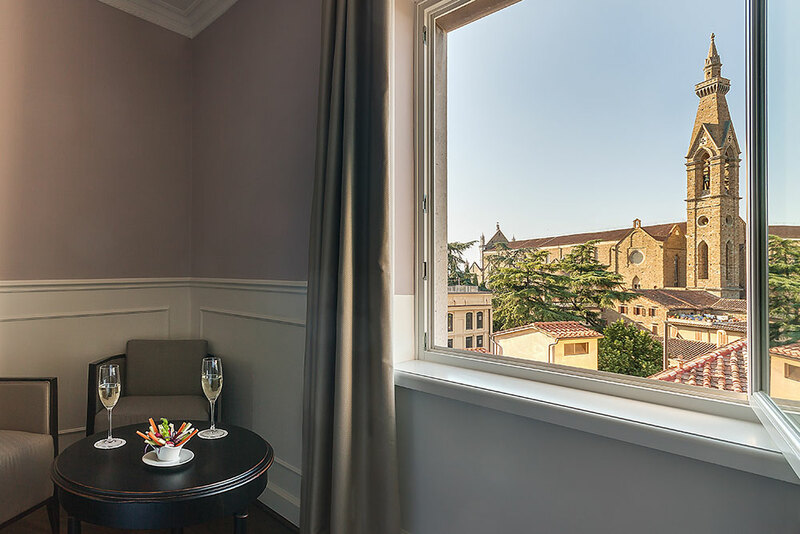 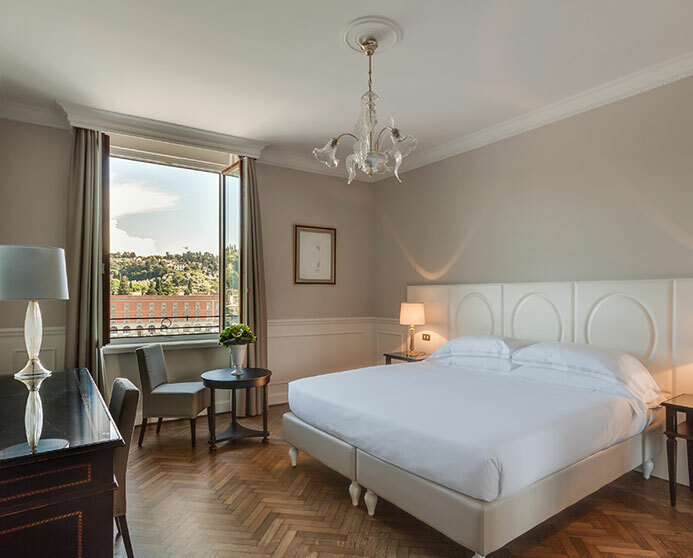 The characteristic feature of the Superior rooms are the wonderful views: magnificent vistas of the River Arno and of Piazzale Michelangelo or of the rest of the city, with the Church of Santa Croce in the foreground and the hills of Fiesole in the background. 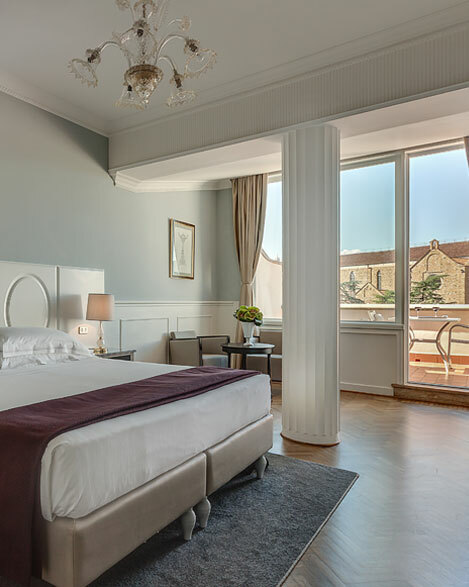 Queen size or two single beds are available. 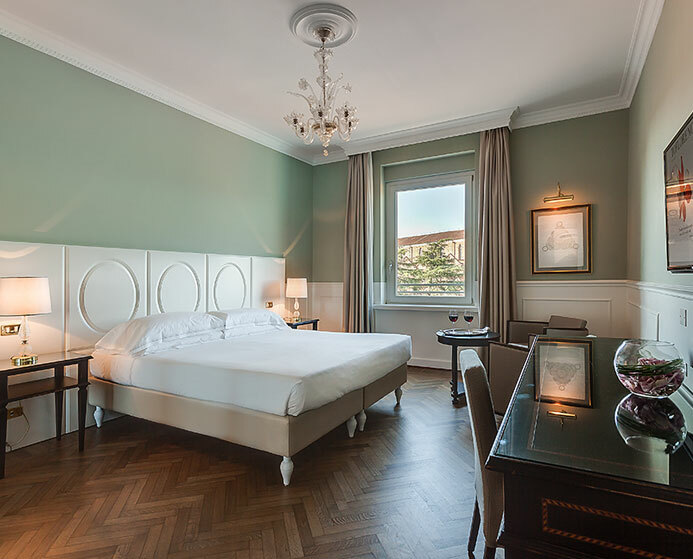 Upon request a third bed can be provided in some rooms.